A Vermont Winter Vacation can be just what the doctor ordered to cure those “stuck in the house” blues. A VT winter month getaway does not have to include skis, snowmobiling or snow sports at all, although trying out a new activity can be rewarding and surprisingly enjoyable. The Green Mountain State has much to offer for both the snow sport fanatic and the not-so-athletically inclined. 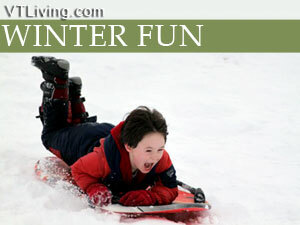 Ask us about Vermont Winter Fun Activities or share your Vermont vacation comments. To feature your Vermont business, contact us.